This post is from May 26th BUT Skype is down again. Details of the most recent outage can be found here. Skype’s telephony service appears to be suffering an outage, with many users all over the world unable to use the service using their desktop clients or not able to access the Skype website. At first it appeared that the issue would was just affecting Windows clients, but after tests at The Next Web, we have found that Mac and Linux clients are also having difficulty accessing the service. Upon visiting the Skype website, pages take a long time to load or they do not resolve at all – at times the site serves a “Hi – Our server has taken a short break” error message. 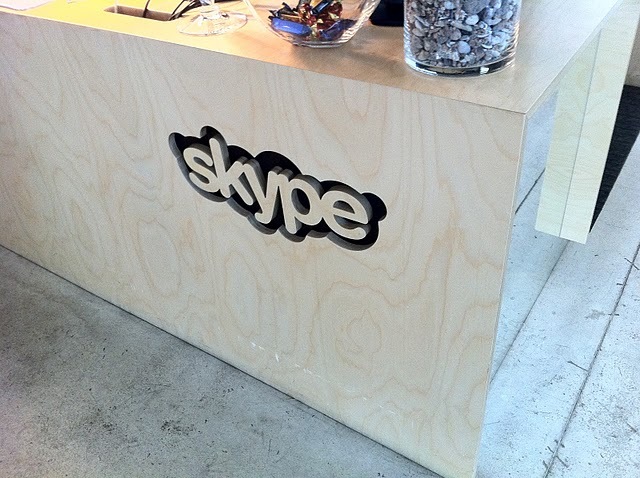 Some have speculated that Skype is in the middle of migrating some of its services to Microsoft’s platforms but because the deal has only been announced and not yet finalised, none of Skype’s platforms will be migrated to Microsoft until it has been confirmed. We have contacted Skype and are awaiting a response, we will update as soon as we have one. 2. Ensure that “Show hidden files and folders” is switched on. a. Click Start, type run and press Enter. b. Type control folders and click OK.
c. Select the View tab and ensure relevant entry is enabled. b. Type %appdata%\skype and click OK.
c. Delete the shared.xml file. 3. Delete the file shared.xml (it will be recreated once you open Skype again, this is fine). Update 2: Some readers have reported that the instructions above aren’t providing them with access to the service. We are in contact with Skype and will update as soon as we know more. Update 3: Skype has released a new update for Skype, you can download it here.